Enjoyable driving lessons at your own pace. Nervous drivers welcome. Myself and my small friendly team are calm and patient driving instructors, as well as being thorough! No shouting guaranteed! We are all professional, skilled instructors who aim to meet your expectations. 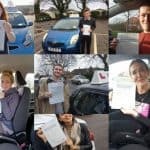 Driving lessons in Bournemouth and surrounding areas are fun and enjoyable. They are tailored to the pupils’ individual needs to enable them to learn quickly and safely at their own pace, whether that’s taking their time or as quickly as possible, in the most cost effective way, and on a one to one basis, (no car sharing!). 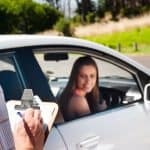 I do not have any trainee driving instructors, all instructors are experienced and we have thousands of passes between us. All our cars are very easy to control and manoeuvre. All my driving instructors’ cars are and fitted with dual controls for your peace of mind. I adhere to the DSA’s voluntary code of practice and have signed up to continuing professional development. Whether you are old or young, experienced and just wanting a few driving refresher lessons, have never sat behind a wheel before, have forgotten how to reverse park, or just picked up some bad habits you want to get rid of – then we can help! Nervous drivers very welcome! We are happy to drop you off/pick you up at work or college in Bournemouth, Poole and all surrounding areas to save you added expenses. Please email or phone/text me on 07512 277067 with any queries you may have. 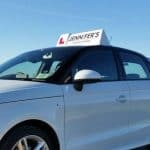 Our driving lessons in and around Bournemouth Poole and Christchurch cover all your driving needs! 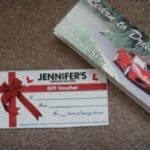 "The local driving school you can trust"
Why Choose Jennifer's Driving School? Are you an Instructor. Would you like to join our Team?